Anti-Flocking Insurance – $20.00 – Kingdom Kidz, Inc.
Don’t Want To Get Flocked? 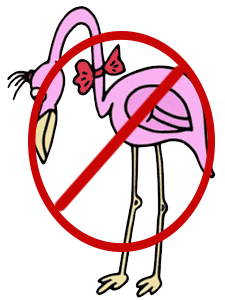 Purchase Anti-Flocking Insurance to guarantee that no flock of flamingos will roost on your lawn as they migrate around the area during the course of this fundraising event. A tax exempt receipt is available for all donations. Complete this form and submit payment via PayPal or with a credit card.